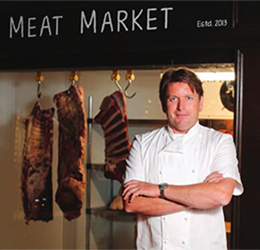 Green Cooling provide a specialist cold storage design and installation service to many leading organisations across the food service, processing and logistics sectors. 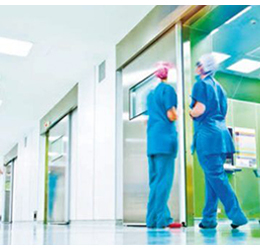 From small modular walk in cold rooms to large capacity cold storage installations our systems are provided with a value based approach and robust build quality. Simply fill in your details below and we will call you straight back. Green Cooling provide design options that deliver the most sustainable low energy design to meet your budget and are able to offer the latest natural refrigerant CO2 plant with low energy insulated panels to create the most efficient specification for each individual project. are able to provide a solution. 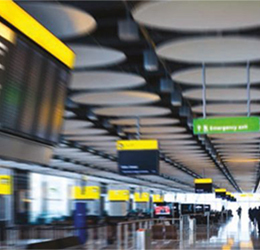 Greencooling have over 30 years experience in the cooling and temperature control market. 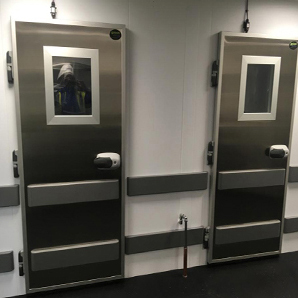 This experience has led us to be the leading name in coldrooms, below outlines our 3 stage process of delivering the ultimate coldroom system, perfectly tailored to your exact requirements. 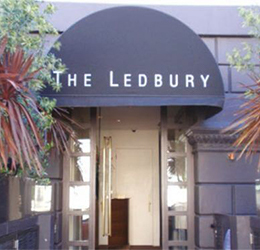 Greencooling installed six coldrooms in the wine cellar of our flagship hotel in mayfair, london. They undertook the entire process with precision and professionalism. Delivering a system that is concise to our requirements, futureproofed and saves us over £50k per year, when compared to our older system. An Introduction to Commercial Cold Rooms. A commercial refrigeration system works in exactly the same manner as your domestic refrigerator but on a larger scale. The points noted within this user guide can also be followed in your own home environment to help save energy. For example, you would not leave your fridge door open for long periods whilst being busy in the kitchen and the same applies to your commercial walk-in fridge! 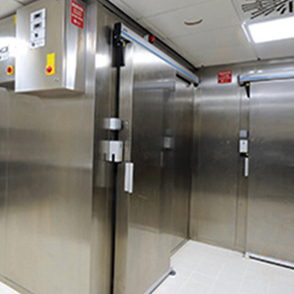 Cold rooms and freezer rooms are designed to operate with regular use in an efficient and reliable manner. If the points noted within this user guide are not put into practice, your catering equipment may experience operational problems. 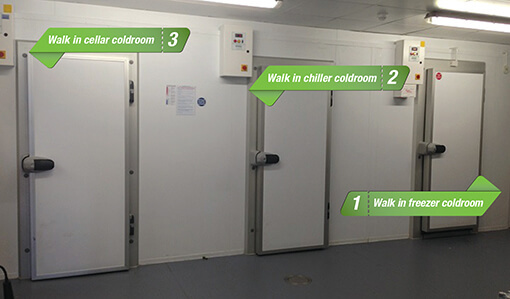 Your current configuration on site is similar to the example shown below, walk-in freezer cold room (1), walk-in chiller cold room (2) and a walk-in cellar cold room (3). When taking food deliveries that are going to take a while to move from the delivery point and load into the cold room it is good practice to turn the cold room off at the control panel to stop the refrigeration cycle. This will stop the refrigeration effect and reduce the possibility of the internal evaporator freezing as shown below. It is commonly found that when food deliveries are taking place, walk in cold room doors are left wide open and strip curtains are removed. This allows the warm air from the kitchen to escape to the coldest point which is the cold room. 2-deliveriesWarm air entering the walk in cold room will cause the room to rise in temperature and this will cause an ice build up on the evaporator coil & ceiling. This will require an engineer to visit the site and clear the ice from the evaporator. This is classed as customer misuse and is not covered under warranty. Heavy snow on the roof indicates moisture ingress, typically caused by the door being left open for prolonged periods of time. 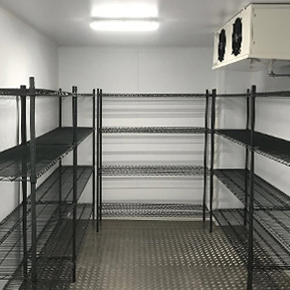 When stocking your cold rooms, it is good practice to keep the location of the evaporator that cools the cold room clear from blockages and ‘overstacking’. When this blocking of air flow takes place it restricts the evaporator thus causing a similar situation as when taking food delivery i.e. the evaporator coil will ice up. This will again require a call out by the refrigeration contractor which will not be covered under warranty and is chargeable. The picture shows the overstocking detail, and in the top right-hand corner, you can see the beginning of the ice build-up due to the air flow restriction caused by the stock being positioned in front of the evaporator. It is good practice that when cold rooms are in operation that the doors are kept closed at all times, even when entering the cold store to collect stock. The inner release mechanism makes it easy for the door to be opened from inside. It is also important to keep strip curtains in position at all times, as these prevent warm air entering into the cold rooms from a hot kitchen or working corridor. Remember strip curtains are there for a reason, they reduce the amount of warm air entering the cold room when in operational use and prevent high-temperature issues. It is important that when a cold room is noticed to be operating at a high temperature that a call is immediately placed and logged to the correct individual or company. This will enable a swift and prompt action to prevent any further damage and to enable the cold room to be returned to the correct operating temperature as soon as possible. 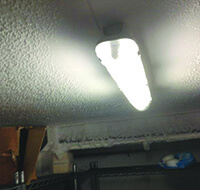 The picture shows a freezer cold room at -8.9°C – action is immediately required! In certain circumstances, faulty equipment can cause health and safety issues and it is important to notify the correct person immediately to ensure that the risk to staff is minimised and rectified with the most upmost urgency. This can cause ice build up on the floor around the catering equipment. causing a slippery, wet surface to walk on. This imposes a high risk to staff. It is not good practice to de-ice an evaporator with a sharp object, this can result in pipework fracture/piercing resulting in a refrigerant gas leak or injury to the individual. In a confined space refrigerants can cause nausea and ill health. Therefore under no circumstances should an attempt be made to remove ice from a frozen evaporator in the freezer room. Should a floor begin to lift at any area within the cold room it is important to notify the supplier immediately in order to rectify the problem as soon as possible. This will prevent the risk of trips and falls resulting in an injury to staff on site. To comply with HACCP Food Safety Standards, the operating temperature of all food service refrigeration systems should be checked, logged and recorded throughout each 24-hour period.